NIGERIAN TROOPS FREE 338 PRISONERS OF BOKO HARAM…….. – The Tundra Tabloids……. NIGERIAN TROOPS FREE 338 PRISONERS OF BOKO HARAM……..
Who no doubt have harrowing experiences and happy to leave them behind. 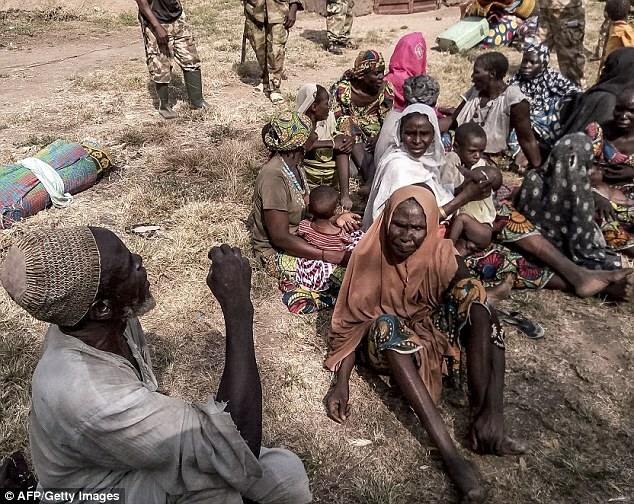 Nearly 340 men, women and children, held captive by militant Islamist group Boko Haram have been rescued by the Nigerian Army. The hostages, which included 192 children and 138 women, had been kept by the terrorists in their Sambisa Forest stronghold, near the border to Cameroon, the army said Wednesday. Nigerian army troops also killed 30 suspected jihadists and seized a cache of arms and ammunition, in a number of raids carried out on Tuesday. Previous Post Previous Post FINLAND: MUSLIM LEADERS BACK BEACHHEAD BUT BALK OVER FUNDS FOR CULTURAL JIHAD PROJECT……. Next Post Next Post CULTURAL JIHAD FINLAND: MUSLIMS DEMANDING SAME TAX RIGHTS AS LUTHERAN CHURCH, ”IF CHRISTIANS HAVE NICE CHURCHES, WHY NOT BEACHHEADS”……?